AUSTIN, Texas (AP) Mark Cuban, the billionaire owner of the NBA’s Dallas Mavericks and driving force behind TV’s ”Shark Tank,” has for months teased the notion of running for president in 2020 in a campaign that could mirror President Donald Trump’s blend of reality television and politics in a ride to the White House. But Cuban’s would-be political career could be derailed before it even gets started by sexual harassment and misconduct allegations within his team. The allegations range from a history of sexually suggestive remarks by a former team executive, to another employee being accused of domestic assault. They leave Cuban facing deep questions about his leadership and how a team owner with a reputation for meticulous attention to detail could not be aware of nearly two decades of problems. At his first public appearance since allegations were first reported by Sports Illustrated on Feb. 20, Cuban on Monday deflected questions about how much he knew was going on under his watch. The Mavericks have hired outside investigators to look into the allegations raised by the magazine. Cuban has dangled the prospect of a 2020 presidential run and seems to relish the attention. In several interviews, he has said he is ”seriously considering” or ”actively considering” it. ”Donald Trump’s election as president encouraged all kinds of people with fame and success but no real political experience to be thinking, `I can do it too,”’ said Cal Jillson, political science professor at Southern Methodist University in Dallas. That it took Cuban a week to hold a news conference on the allegations after they were first reported indicates he’s got a long way to go as a politician, Jillson said. Like Trump, Cuban’s politics are pliable enough that it would be hard to mold him into a Republican or Democratic platform in the primaries. Cuban endorsed Hillary Clinton in 2016 and had a front-row seat at one of the televised debates to support her. But he also has said if he does run he would probably be a Republican because he considers himself a fiscal conservative and a centrist on social issues. Trump, ”tapped into a populism in the GOP electorate that was under-represented. Cuban’s more centrist views don’t seem to be in line with a similar phenomenon in a Democratic primary,” said Tim Miller, a former spokesman for Jeb Bush’s 2016 campaign. ”Someone like (Cuban) would be a very tough out for the president,” Miller said, adding he didn’t know enough about the allegations within the Mavericks to comment on their potential damage to Cuban. Trump was elected in 2016 despite facing a cascade of accusations of sexual harassment and misconduct, while Cuban hasn’t faced any personal misconduct allegations. But the claims of an abusive culture thriving within the Mavericks have surfaced in the ”MeToo” movement of women speaking out and standing up against sexual harassment and misconduct, a wave that has taken down powerful men in Hollywood, business, the media and politics. A problem for Cuban could be that his national brand is built upon the Mavericks and any major crack in that foundation could prove costly. The impact of the team’s allegations has yet to be measured against Cuban’s business and media interests. Sponsors haven’t bailed on his team or his television show. 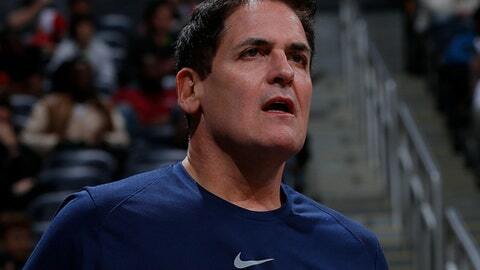 Two days after the Sports Illustrated report, Cuban pulled out of a scheduled appearance next month at the South by Southwest music, technology and film festival in Austin. Festival organizers said it was Cuban’s choice to cancel. Even if Cuban can show he was unaware of misconduct and reacted swiftly to correct it, the episode has already created a new target in politics, said Republican strategist Matt Mackowiak. Media and political strategists from both parties will be looking into how Cuban runs his businesses. Any lawsuits or complaints will get new scrutiny, Mackowiak added.